The thought of me staying at home next school year slipped to the back of our minds. As much as I would love to stay at home next year, we really can’t afford it. Staying at home became a serious consideration, but it would most likely happen after one more year of me working. So we proceeded to find Scripture to support what we wanted to do.We only wanted it if God wanted it and if He didn’t want it, the Holy Spirit would reveal that through the Word. Simple. Our prayer became, “Lord, if you don’t want this in the future then please change our hearts.” Again…already assuming it’s not what God wants. We began to really read to see what the Bible says about the role of a mother in a Christian home. Here are some things I read (mostly Scripture) that God used to reveal His plan for us. So we read and meditated on these verses and absolutely knew that God wanted me at home raising Lily. But, there was still no urgency. We still had a “when we have the money” mentality. My husband is a HARD worker and gives 110% to everything he does. He is devoted and committed to his work, but his job doesn’t provide the income we need to live. We compared his income to what we need to survive (bare bones people…bills, groceries, gas…nothing else) and the budget doesn’t allow me to quit working. So we decided on one more year of me working and pinching every penny…THEN I would stay at home. And I read this article. Cried. And was overcome with so much conviction and urgency that I can’t wait another year. My biggest question has been, “If I quit working, how will I serve the Lord, where will my mission field be?” I love my students and enjoy the privilege of talking to them about Christ everyday. You wouldn’t believe some of the discussions we have. God is working in the hearts of those children and it is such a joy to be a part of it. But my ministry is at home. I will serve the Lord at home. My mission field is at home. My first and most important ministry is my husband and my daughter. I serve the Lord in my home by cooking, cleaning, laundry, meal planning, grocery shopping, etc. all of which I LOVE to do. However, they become chores and bring no joy because I am doing them in the late afternoon while I am also trying to spend quality time with Lily who has been at daycare all day. Afternoons/Nights are stressful and full of guilt because a thousand things need to be done at the same Lily needs her parents to spend quality time with her. Lily needs my full attention. Not my left over attention. 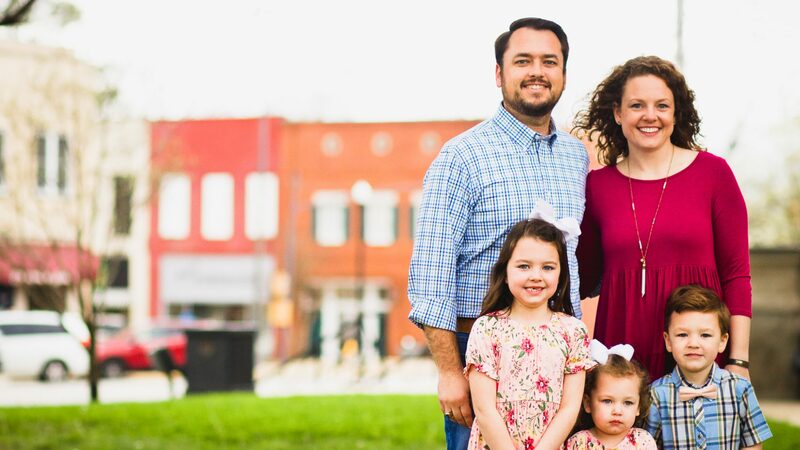 My home is my mission field by praying for and encouraging Brent, teaching Lily to fear the Lord, and creating an environment where the Lord and His work are always welcome. My prayer for Lily everyday is that she would be part of the generation that truly seeks the Lord; that she would not conform to the pattern of this world but be transformed by the renewing of her mind so she can test and approve God’s pleasing and perfect will; and that she would only seek and desire the approval of the Lord. I was so convicted by the Holy Spirit. God gave Brent and Lily to me and I was neglecting my most important ministry. The only answer is yes…I am going to be a stay at home mom. We went from praying God would change our hearts if he didn’t want me to stay at home in the future to praying that it would hopefully be possible after one more year of teaching to seeing the urgency for me to stay at home next year. Lily is only young once. Her preschool years are a God-given opportunity for me to teach her to fall in love with her Savior. No longer did it matter that our budget said no. We’ve already been to the wilderness and learned that we don’t live on bread alone but on every word that comes from the mouth of the Lord. We don’t depend on the budget, we depend on the Lord. And. He. Never. Fails. Us. P.S. If you are a working mom of preschoolers, what you are reading is how God has spoken to me. “Working at home” as Titus says means that God has called me to stay at home. However, that may look different in your life, depending on what God has called you to. I am an open book, I wear my heart on my sleeve, and I want the world to know when God is moving in my life. I want God to use me and this blog to change the lives of others and that isn’t going to happen if I don’t tell you what God is doing. I don’t mean to offend or bring guilt on anyone. My prayer is that in some way you have been drawn closer to the Lord. Who are you really, and what did you do with my daughter? Hi Brittany! I found your blog through the Bloom Blog Frog Community and I am so encouraged by this post! It is so inspiring to read of your love for your daughter and your realization that she is your ministry! It has taken me a long time to realize this myself, and I'm just starting to jump in to my “new” ministry of motherhood! I agree with that TurlScott guy. Whoever he is. What did I do to deserve to call you daughter. Love you, too. No, seriously, Brit, this is the sweetest most inspirational thing. I pray that we'll have the same incredible opportunity. Lindsey will graduate in May with her bachelors and the “current” plan is for her to stay home for a year with Baby Butterbean and then return to complete her Masters…but I want SO BADLY for her to be able to stay at home with our child. My Momma was home with myself and my two brothers all of our lives and it was PRICELESS. We didn't have tons of money being a one-income family, but the time spent with my Momma was absolutely invaluable. Thanks for listening to God and being so IN to His Word. And THANKS for sharing with all of us. God bless you, Brent, and baby Lily.